Mention Orlando and shopping isn’t paramount in people’s minds. But being the US’s premier holiday spot – Orlando has more visitors each year than any other city in the country – shopping in Orlando is also one of the city’s big draws. It’s not just the number of malls or the bargains to be found, but the sheer number and diversity of shopping outlets that makes it popular – from Gucci to Gap, Michael Kors handbags to Mickey Mouse ears. And as most of the shopping is mall-based and air-conditioned it’s a great break from the heat of Orlando. Most malls are within a 20-minute drive of the major hotels and theme parks, but there are also characterful shops in Orlando’s little explored Downtown area that are also worth the drive. Check in at guest services desks on arrival at each mall and outlet mall for maps, information on that day’s deals and all important savings booklets for discounts and deals at various stores. For more daily deals from Florida Mall, The Mall at Millennia, and Orlando Premium Outlets download the Simon Rewards app to your phone. Here are some the best places to pick up everything from high street hits to designer finds. If you’re staying in the Lake Buena Vista area of Orlando, amid the major theme parks, you’ll find plenty of options for shopping nearby. Florida Mall is located east of Walt Disney World, and with more than 250 shops – has the largest selection of retailers in the whole state. 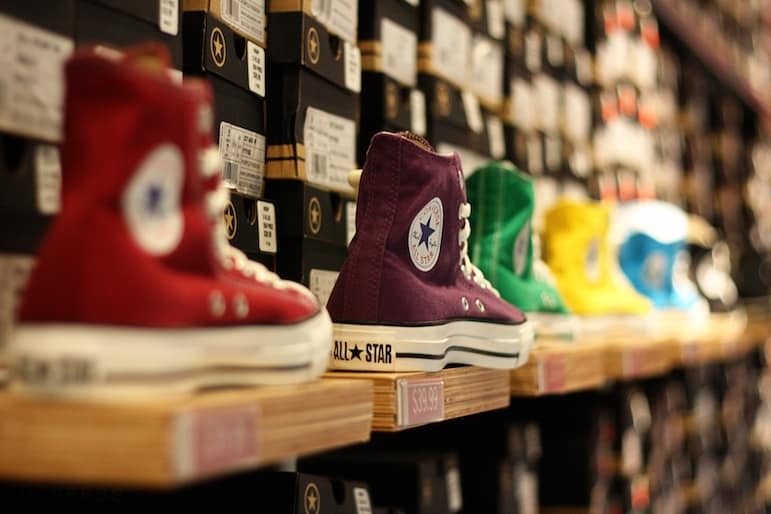 Stores include familiar high-street fashion brands such as Gap, Zara and H&M but it also has shops less known by British shoppers such as Nordstrom and American Eagle Outfitters. 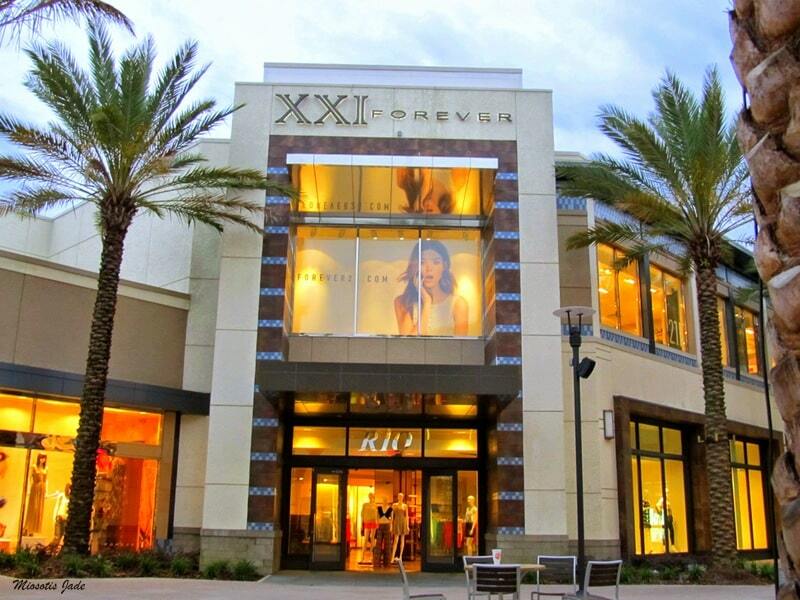 If designer labels are your bag you will find all your favourites when shopping in Orlando at The Mall at Millenia. 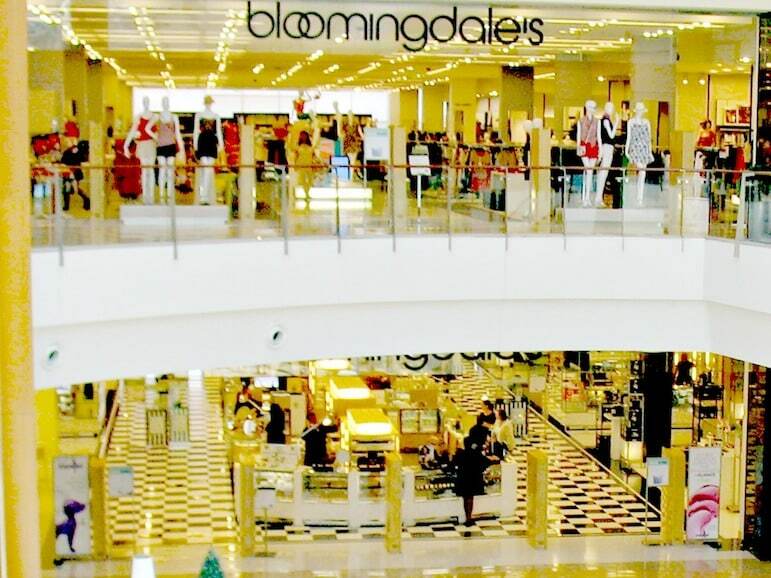 Anchored by Bloomingdale’s and Neiman Marcus, you’ll find the mall’s broad corridors filled with the world’s top luxury labels, including Chanel, Gucci, Jimmy Choo, Prada and YSL. But there’s also high fashion from the likes of Bloomingdale’s, H&M, and Tory Burch, known for its colour, prints and eclectic details. But this high end shopping experience doesn’t end there – The Mall at Millenia aims to ensure every shopper leaves looking their best and feeling like a VIP. The Millenia Experience offers shoppers one-to-one image consultations, personal shopping, valet service and VIP services at the mall’s upscale retailers. 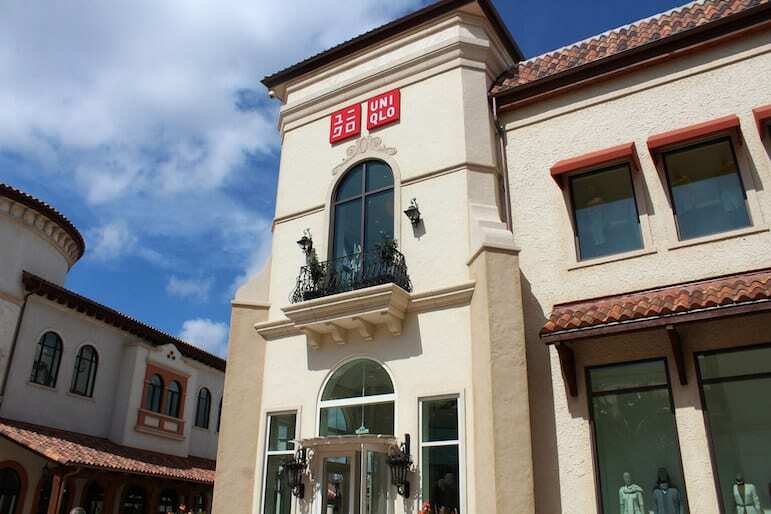 For luxury shoppers with an eye for a bargain, there are lots of opportunities at Orlando’s outlet malls. In fact for many savvy travellers outlet shopping has become a staple of their trip. The two largest are Orlando Premium Outlets’ Orlando Vineland, in Vine Lake Road, and Orlando International, in International Drive, and make shopping in Orlando a bargain hunters dream. Each is home to some of the most exclusive department stores in the US. 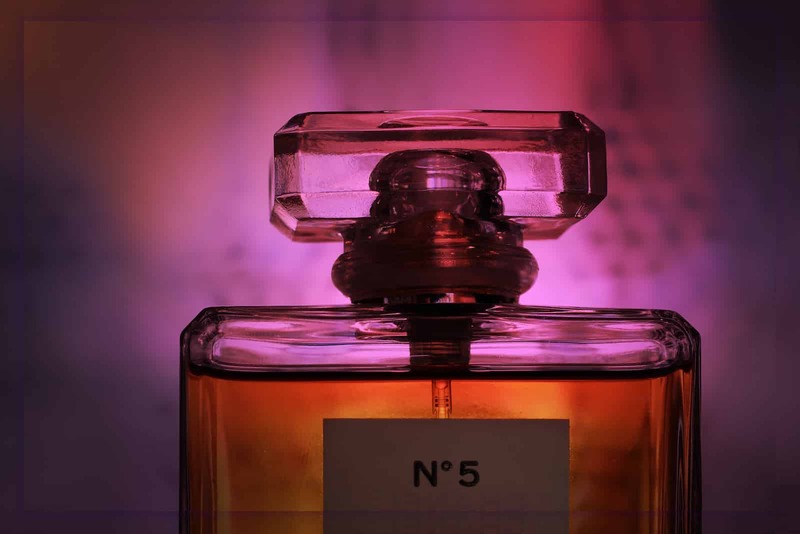 Both have a branch of Saks Fifth Avenue Off 5th, and while Orlando International features Neiman Marcus Last Call, Orlando Vineland is home to Barney’s New York Warehouse. 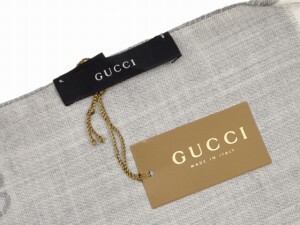 With some of the hottest fashions from these exclusive shops, they are icons of style, and feature the very latest designer trends at outlet prices. 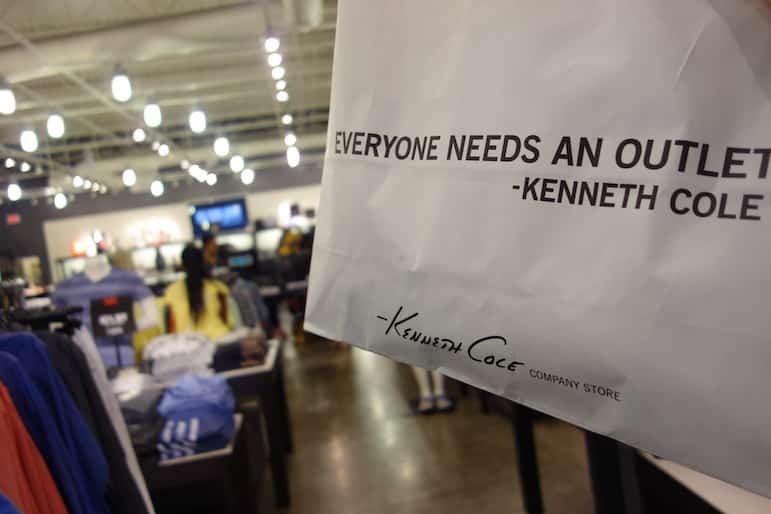 The malls also have factory outlet stores like Coach, Calvin Klein, DKNY, Kate Spade New York, Kenneth Cole, Ted Baker, and Tommy Hilfiger, as well as plenty of high street brands such as J Crew, Anne Taylor, Levis, Forever 21, and Converse. Discounts vary, but can be up to 80% off original prices. But with stores with their own individual offers, some of which can be better than, or combined with the outlet voucher books (pick these up from the information desk on arrival), you can find fantastic deals. I found designer sunglasses from £24, and Converse at buy one, get one half price – two pairs a steal at £45. One mile from Walt Disney World Resort, the Lake Buena Vista Factory Stores offers a free shuttle to and from 60 hotels. The centre has 50 shops including the only outlet for premium Swiss chocolatier, Lindt; the area’s only Old Navy outlet; a Rawlings Factory Store sporting goods – one of only four in the world; plus Nike, Nine West, Gap, Reebok and Fossil. 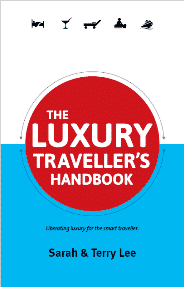 Luckily – given all the fantastic bargains – the malls also have luggage shops such as Samsonite, Tumi, and Kipling Bags for you to find a suitcase big enough to get your outlet purchases home. Get out of the malls, away from the theme parks and shop along the avenues of Downtown Orlando. This is the less visited part of the city – by international tourists at least – but it shouldn’t be missed for unique boutique buys. 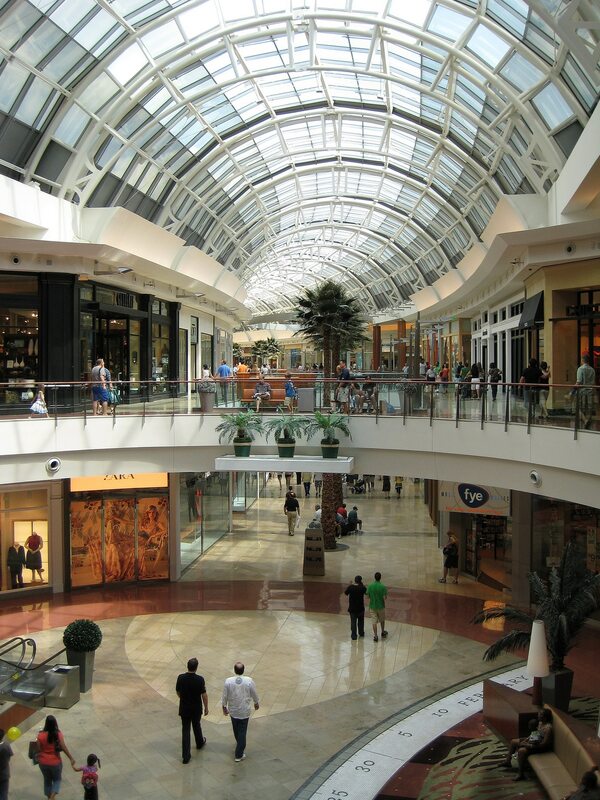 Shopping in Downtown Orlando is arranged around its various districts and each has its own character. The brick streets and historic buildings that line the green swathe of Winter Park have a collection of upscale boutiques, galleries, antique stores, and outdoor restaurants. The main shopping area takes up ten tree-lined blocks on Park Avenue; while nearby Hannibal Square has further shopping and dining options. 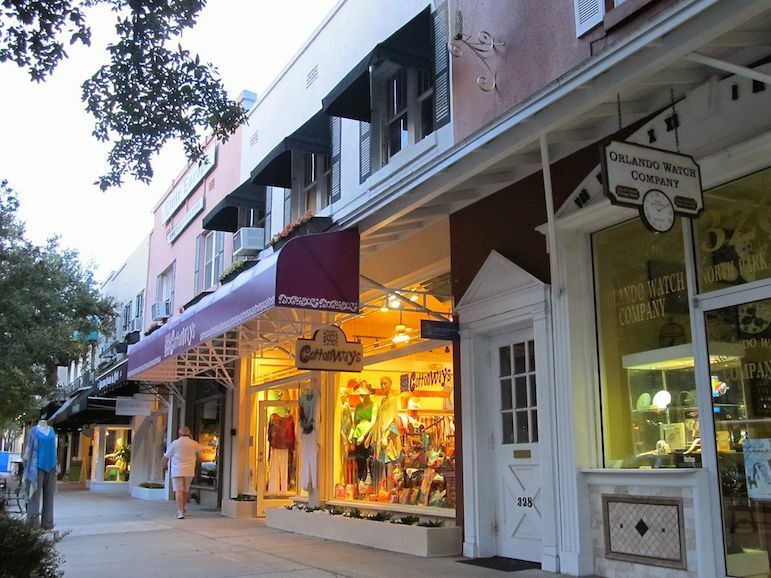 In Winter Park US retailers like Restoration Hardware, Williams Sonoma and Pottery Barn share the street with everything from boutiques like Lilly Pulitzer and Alex and Ani designer jewellery, to shops selling dog-friendly pastries. Thornton Park is a colourful commercial district just east of Lake Eola in downtown Orlando, and is a favourite with locals. 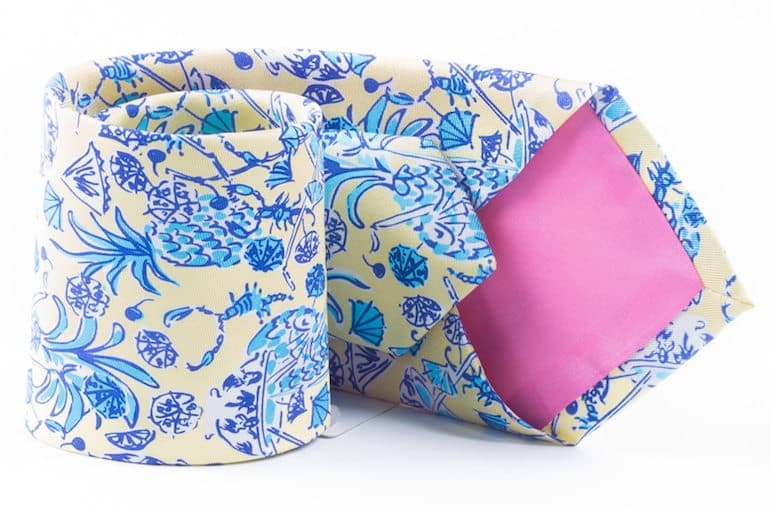 There you can shop the latest trends at Zou Zou Boutique or design a custom T-shirt at Mother Falcon, while more than a dozen lounges and restaurants create a lively atmosphere. Looking for something old to go with your something new? Head to Ivanhoe Village, along Orlando’s Lake Ivanhoe – it’s home to antique stores, and shops selling vintage clothing and one-of-a-kind gifts. Record store Rock & Roll Heaven still sells vinyl LPs and singles for as little as $1. Meanwhile Washburn Imports features furnishings from India, Thailand and Indonesia, and Déjà vu Vintage Clothing has clothing and accessories dating back to the 1940s. An up-and-coming shopping neighborhood just over a mile from Downtown Orlando, is The Milk District. Named after its location near T.G. Lee Dairy, it is a thriving area known for its funky shops and weekly food truck gathering. It has more vintage shopping at shops like Etoile Boutique and plenty of places to enjoy a break and a bite to eat. For something different in Downtown head to the Orange History Regional History Center Emporium to pick up local products. It has rare vintage photographs, quirky Florida souvenirs, tasty Florida treats and classic toys and books. The Museum Shop at the Orlando Museum of Art is the place for ornate Chihuly glass pieces and creative, one-of-a-kind jewellery, paintings, sculptures and crafts by Florida artists. The Charles Hosmer Morse Museum of American Art features the world’s largest collection of the works of Louis Comfort Tiffany and The Museum Shop features exclusive merchandise derived from the works of Tiffany, including jewellery, stained-glass panels, glass bowls and vases, and a wide range of items inspired by other artists in the museum’s collection. 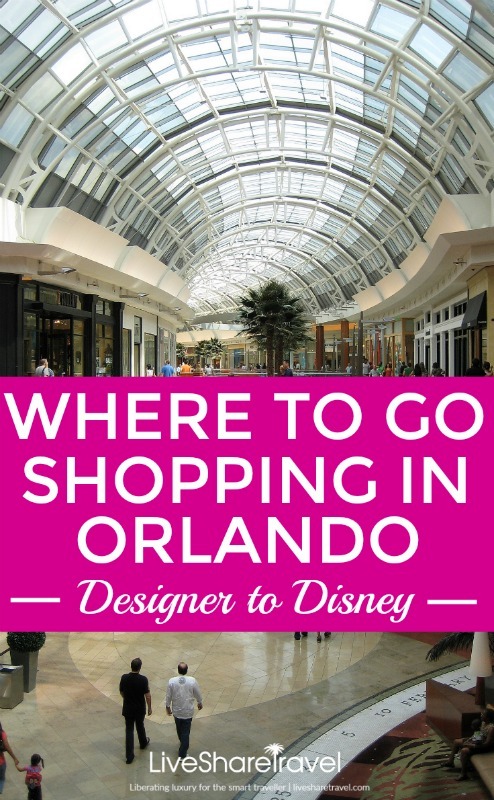 Orlando’s theme parks also have plenty of opportunities for shopping. Both Walt Disney World Resort and Universal Orlando Resort have their own shopping and entertainment complexes. Take a break from the rides and make for Universal CityWalk where you’ll find dozens of shops and boutiques. There’s the Universal Studios Store where you can buy memorabilia of your favourite Universal characters. 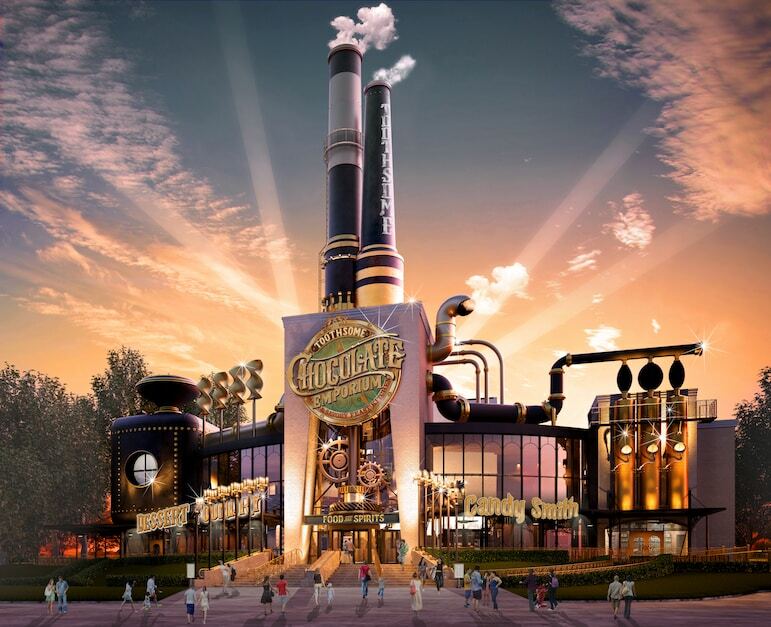 Chocolate lovers will find their fix at The Toothsome Chocolate Emporium & Savory Feast Kitchen, while NBA City has all manner of memorabilia for basketball fans. Downtown Disney’s Disney Springs features a dizzying array of colourful shops including the world’s largest Disney character store, Build-A-Dino by Build-A-Bear Workshop, Cirque du Soleil Boutique, gift stores and high street names like Lilly Pulitzer, Zara, Ugg, and Uniqlo. There are plenty of spots for lunch or dinner, plus bars, clubs, and entertainment venues at both theme park shopping areas. Orlando is usually thought of as a fun and adventure playground, but as these varied Orlando shopping options reveal, it’s also very much a playground for shoppers. So be sure to travel with an empty suitcase! Some images have been licensed under Creative Commons 2.0: miosotis jade, Diana Inazakira, Mark Goebel, Queen Bee, krheesy, kennejima, Robert Sheie, Theme Park Tourist, Robert Linsdell.